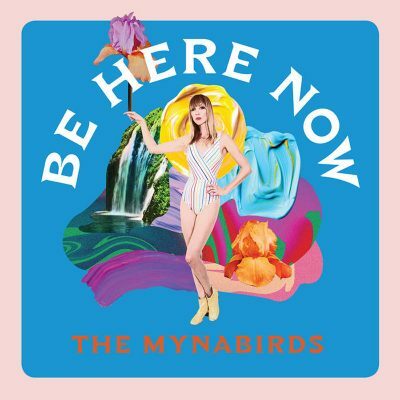 The greatest sleight-of-hand musical sorceress Laura Burhenn conjures on Be Here Now—besides writing and recording the fourth album proper under her Mynabirds’ moniker in a mere two weeks, post–2017’s Inauguration and Women’s March—is how immediately accessible and inclusive she’s made it. After releasing a pair of incredibly powerful solo tracks on her “Apples & Oranges” single late last October, the direction seemed to lean toward balladry (and hers always resound with a deep emotional parlance all their own)—but, as with all of her work from Georgie James on—infused with a slight political edge. That trait is, after all, in her blood, and after last year’s election, the 2017 trend of powerful entries from well-established artists (Erasure, Alison Moyet and Aimee Mann) show just how artistry and songcraft have been affected by it. In other words, from the ashes of despair, sometimes great art is born. Produced and recorded with longtime collaborator and friend Patrick Damphier (of the great Field Days) before the tragic eviction from his Nashville studio, there is a surprising smoothness and eclectic mixture of instrumentation and voices (horns, a Burundian refugee choir) that enhance and buoy it. Dreamy lead track “Cocoon,” with its slightly tropical vibe, has a potent intoxicative pull to it, which complements Burhenn’s zephyr-like vocals nicely. The album opener/title track establishes the great drumming and vocals that run throughout and serves as the album’s proclamation of being more united together with our differences than being separated by politics. The tinkling keys are particularly impactful, especially when paired against the choir’s vocals. The first highlight comes with the vibrant “New Moon,” in which Burhenn’s delightfully raspy vocals meet, of all unexpected things, saxophones. The wistful homage ballad (referencing both Leonard Cohen and David Bowie) that is “Golden Age” holds back no punches (“You’re sawing us all in half with your fake fear”)—never to the point of cheap political jabs but rather a reflection of the shock and outrage we are collectively feeling in these tumultuous times. If the loss of these musical icons is specific in “Golden Age,” Prince’s legacy seems to enhance Be Here Now’s more upbeat gems, including “Shouting at the Dark” and the funky groove of the rollickingly good “Ashes in the Rain,” the latter of which contains a Fleetwood Mac/Buckingham–like sheen to its production. In fact, one suspects that the vibe that connects everything is enhanced by Damphier’s wide-encompassing range of musical influences.